A new book by a beloved author is always something to be excited about. 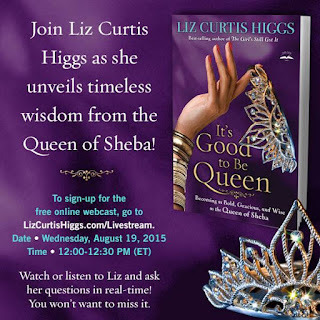 Today I'm waiting for my copy of Liz Curtis Higgs' latest - It's Good to Be Queen. www. LizCurtisHiggs.com/livestream. I'll be there! Let's see what Liz has to tell us about the Queen of Sheba.